1. Blanch the whole almonds and pistachios together and remove the skin. 2. Then grind them to a paste with 2 tblsp milk. 3. 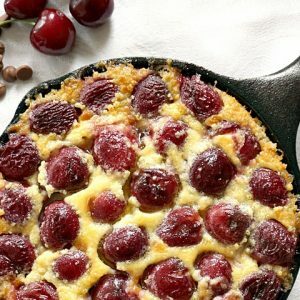 Transfer the condensed milk to a heavy-bottomed pan. 4. Combine cornflour and 1/8 cup of milk and stir till cornflour dissolves well. Keep aside. 5. Pour the remaining milk into thhe pan and stir constantly. 6. Add cardamoms and saffron strands with the milk. 7. Place the pan over moderate flame and allow to boil. 8. Reduce flame to low and simmer for 6 to 8 minutes. 9. Remove and add the almond-pistachio paste. 10. Mix well and keep aside to cool. 11. Garnish with shredded almonds, pista and raisins. 11. 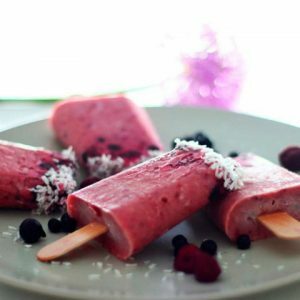 Pour into kulfi moulds and keep in the freezer to set. 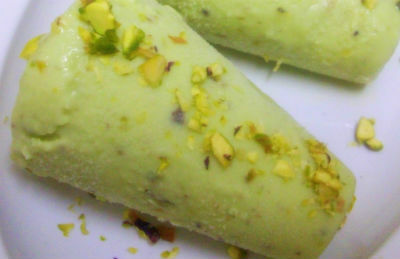 Feel free to comment or share your thoughts on this Kulfi Badshahi Recipe from Awesome Cuisine.